1970.aastatel üritati Eestis käivitada kaks lasteraudtee projekti eesmärgiga arendada noorte huvi raudteelase auväärse elukutse vastu. Mismoodi need projektid arenesid ja lõppesid, on võimalik lugeda sellest peatükist. 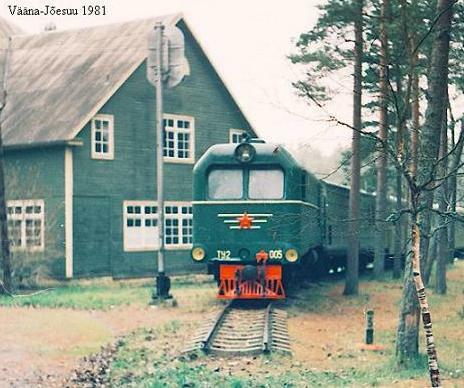 ................................................... An attempt was made on the initiative of the then chairman of the Baltic Railway Estonian network trade union committee, Mr. Heino Roosma, to set up a children's railway one of the closed lines. It would have been a working museum railway, but none of the institutions and organizations he turned to accepted the offer to organize the work of such a railway. As a result, there isn't even a functioning children's railway in Estonia.